What next for Fifth Capital? 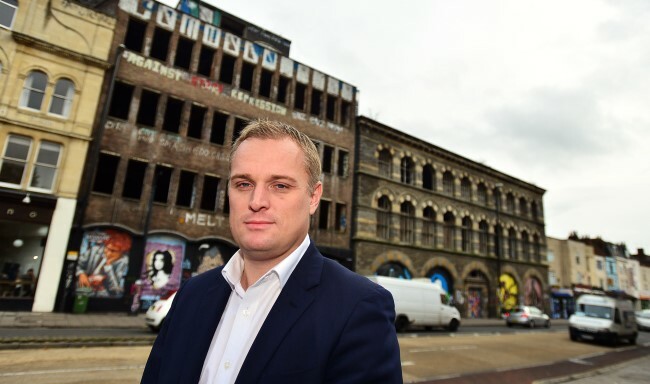 With the PG Group taking on the development of the Carriageworks, Fifth Capital and Marc Pennick will have no further involvement in the scheme. It’s been a strange journey. When Marc first turned up in 2014 we were very sceptical. How could a London developer with no obvious track record and no obvious funds take on a £20m development? He brought with him a crowd of London consultants, carried out a formulaic consultation on his proposals and achieved a Bristol record of 1400 objections to his planning application along with a march on the planning committee, national press coverage and the wonderful quote from a planning committee member “only its mother could love this scheme”! But after the Planning Committee in April 2015, everything changed. Marc Pennick ditched his PR company and instead, at the instruction of the Chair of the Planning Committee, engaged directly with CAG and other local stakeholders. He sat down with local residents and neighbours to listen to their concerns and adapt his scheme. He got rid of the (implied) gates and replaced them with a genuine pedestrian route and market area. He changed the elevations. He listened, he learned and we think he probably developed quite a liking for the area. When he took his revised scheme back to the Planning Committee in October we still had concerns and reservations, but on the whole we concluded that it was now delivering most of the Community Vision and we gave it our support. After planning permission was granted Marc assured us that he was committed to the scheme and that he would see it through. But the team of consultants he had had working with him disappeared and although there was reference to others he seemed to be doing much of the work himself. Potential development partners came and went and by early 2017 we were having doubts about the scheme and his ability to secure the necessary finance. However, Marc’s insistence that he would deliver continued along with his belief that we would be very pleased with the new developer. In February his agents, CBRE, confirmed that we could expect an announcement in the second quarter. And true to his word that announcement has now arrived. The whole development is now being taken over by the PG Group. As a local developer with a strong commitment to Bristol we can hopefully expect a scheme that surpases that which many others would inflict upon us. Marc and Fifth Capital will have no further involvement but his involvement in the scheme has been instrumental in getting a new owner for the site, a planning permission and a development that substantially meets the community’s vision. On 14 June 2017 Marc Pennick sent CAG this good luck message.